1 Best Laptop Brands – Top Picks! 2 Best Laptop Brands – Comparison Table! 4 How Do We Rate and Select Laptop Brands? Years back, whenever we heard the term PC, we used to think about those huge Desktop computers. You’d have to include its monitor, system cabinet and all the necessary and additional accessories. The transition from those big machines to laptops have been quite revolutionary and we all can now relate the term PC to a standard best laptop brand, right? Along with the demand, the number of laptop brands has also increased in a quite drastic manner. Looking at the bright side, we have a better selection. However, when it comes to finding the best laptop brands, the huge number is trouble indeed. That’s why it becomes important to know the best laptop brands list out there on the market. There are dozens of different laptop models in the market, finding the best one really was a challenging task for us. After review all the products we have picked some according to the categories. Before Moving Forward, why not look for our best budget buy laptop brand picked up by our Techlogitic Experts. Best Laptop Brands – Top Picks! We cannot say that one particular brand is the best in the entire world. It’s simply because the term ‘best’ is dependent on many aspects. What is best for a busy professional may not be the right one for a video editor or gaming enthusiast. So, the idea is to make the scene broader and get things narrowed down. In this article, we have created a list of the best PC brands in the world. Instead of giving you a simple list, we will also be covering what makes certain brands the best choice in town. So, when you want to purchase a PC for work, education or other purposes, you can cut down some steps and still get the best device for you. Then, shall we start with the list of best laptop brands? Best Laptop Brands – Comparison Table! 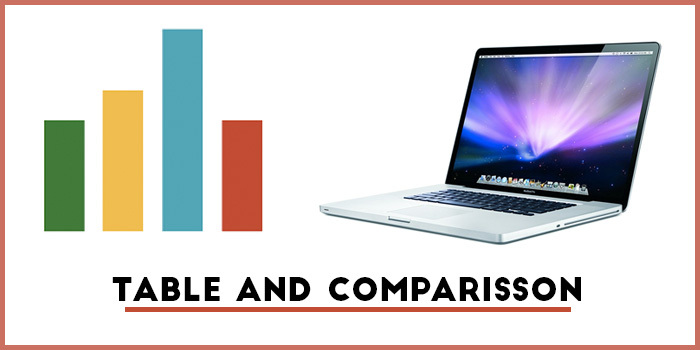 Let’s take a look at 10 of the best laptop brands comparison table that you can buy. As we said, the following brands are the best choices according to the current market. Along with the brand name, we will also recommend one of the best laptops manufactured by the specific brand. So, if you happen to be looking for the BEST laptops from a brand, you can go with that recommendation. Let’s take a look at 10 of the best laptop brands you can buy. Apple literally needs no introduction when it comes to the world of Laptops, right? Founded by the one and only Steve Jobs, Apple has created a unique tradition of manufacturing and serving ultra-portable yet high-performance laptops. You don’t have many choices in the world of Apple laptops — MacBook, MacBook Pro, and MacBook Air. Apple laptops are the best when you need a perfect blend of portability, performance and battery life. Even with the high-end specifications, MacBooks are offering an incredible battery backup too. On the negative side, however, MacBooks are relatively expensive and you may not find as many ports as you need. Also, you can say it’s the best laptop brands for consumer reports. 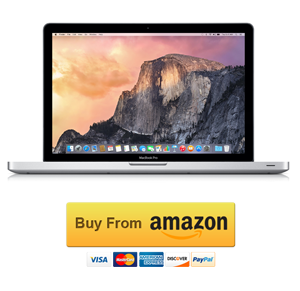 Apple MacBook Pro is the best laptop you can purchase from Apple right now. We are talking about the base version that comes with 8GB of RAM and Intel Core i5 Processor inside. You also get 256GB of SSD Storage in the package. As you know, MacBook Pro devices focus on the performance aspect. It comes with a 13” Screen, which is optimal for versatile purposes. As far as connectivity is concerned, this device makes use of USB Type C. If you’re someone who is into video editing, graphics-based apps, Apple MacBook Pro would be the best deal for you. There are many reasons why Dell is considered one of the best laptop brands in the world — the major one being its versatile range of devices. You can find almost all kinds of laptops in Dell inventory, including most common ones to high-end gaming machines. If you are looking for performance and portability, you will find solace in the XPS series. On the other hand, for those gaming enthusiasts out there, Dell has a dedicated side named Alienware, where we see gaming-oriented devices. Overall, Dell laptops are noted for their standard performance and after-sale services. Even if you need a common laptop for your home needs, you will find the suitable one in Dell collection. 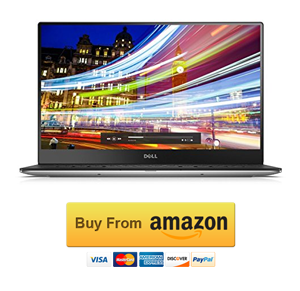 Dell XPS 13 is perhaps the flagship device from Dell you can count on. Inside the system, you will spot Intel Core i7 processor, 8GB RAM and 256GB SSD Storage to go on. As you can guess, XPS 13 runs on Windows 10 and Dell doesn’t stuff much bloatware to worry about. 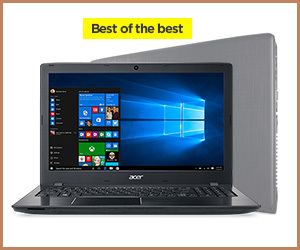 Because of the slim profile and fully-fledged design, it’s a laptop used and recommended by the various professionals out there. Another notable point is that you have access to a complete set of ports and connectivity options. In comparison, Dell XPS 13 offers more than standard battery life as well. 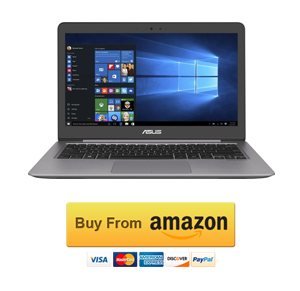 ASUS is popular for its affordable yet performance-friendly range of laptops, especially the ones in ZenBook series. It was surely the first laptop manufacturer that brought the perks of slim design and portability into budget-friendly laptops. 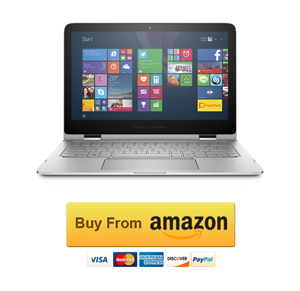 It does not mean that you cannot find premium-range laptops from this maker. In fact, there’s an entirely different range of premium products that offer high-end performance and sleeker & portable designs. The devices also seem to pack an impressive battery backup, according to the people who have been using different ASUS laptops. Considering all these points, ASUS is the best laptop brand for most professionals and college-goers. One of the most popular laptops in the ZenBook series, ASUS ZenBook UX330UA is a perfect choice for both professionals and common users. Packed inside it are an Intel Core i5 Processor, 8GB RAM, and 256GB SSD Storage. Because it’s running on Windows 10, the battery backup is extremely good. The device also comes with some additional features like a built-in fingerprint reader, solid aluminum build, and HD High-Resolution display. You’ll also love its options like USB Type C connectivity and customizable sound system. Altogether, it’s equally suitable for media junkies, common users, and corporate professionals. Hewlett Packard commonly referred to as HP, is another one of the best PC brands you can rely on. Just like the case of Dell, HP is offering a wide variety of product options. Starting with the low-end Dual-core systems, HP has included high-end laptops too, especially one of world’s thinnest laptops ever. Even in the low-end devices from HP, you can expect higher build quality and after-sale service. Also, if you are going with some premium picks, you can have an elegant design as well. There is nothing much exclusive about HP laptops, but you surely get a device that is worth the money you pay. In simple terms, we can say that HP laptops are for everyone. Along with Apple, Dell you can consider this HP laptop as best laptop brands for college students. HP Spectre X360 is basically an Ultrabook that blends performance and portability. You will be one of the slim & performance-friendly devices by purchasing this product. As far as the specifications are concerned, we have a blend of 8GB RAM, 6th Gen i7 Processor and SSD Storage of 256GB. With all these specs, Windows 10 runs pretty fine too. In case if you are still wondering, HP Spectre X360 is a hybrid device, meaning that you can use it in different ways — as a traditional laptop, a tablet and more. Thanks to the touchscreen as well, this device is surely worth what you pay. If you are looking for style and unique designs in laptops, Lenovo devices may not be your thing. They have never been good-looking, especially when compared to the other laptop manufacturers. Even then, most of Lenovo laptops are offering the best-in-class performance and build quality, along with affordability. While common users love Lenovo devices for their extensive life and after-sale service options, there are certain devices that have performance-friendly hardware as well. If you are a professional who does not want much show-off but would rather work with seamless performance, Lenovo is the best laptop brand to go for. You will never be disappointed. Another Ultrabook in our recommended list, Lenovo ThinkPad X1 Yoga is a multipurpose best laptop brand that you can get from Lenovo. Belonging to the ThinkPad series, you have the basic assurance of higher performance. In case if you didn’t know, the device is running with an i7 Processor, 8GB RAM and 512GB of onboard SSD-based storage. It ships with Windows 10 Pro and several accessories is included in the package. You will find, for instance, the ThinkPad Pen in the box. Other noticeable features of the product include the fingerprint reader, lighter profile and various connectivity options. Acer has been quite active in the world of computer devices for a long period of time. At a time, Acer was a symbol of premium device ownership too. Now, things have changed, but Acer still manufactures some of the best laptops in the market. Just like we discussed in the cases of Dell and HP, Acer too has a wider range of products, targeted at multiple classes of customers. In comparison, Acer devices are portable and offer a kind of additional performance as well. However, you cannot accept many fancy features in these laptops. If you are okay with standard specs and sleek designs, Acer is a noteworthy brand. 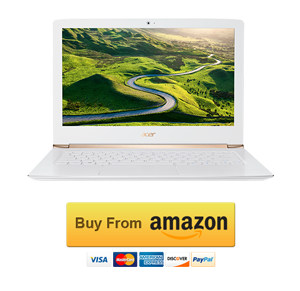 Acer Aspire S 13 Touch is one of those common laptops you’d find in the store, at least in the first look. That having said, this laptop comes with an impressively slim design and high-end specs such as Core i7 Processor, 8GB RAM and SSD Storage of 256GB. The inbuilt fingerprint reader is well-used by the Windows OS, for log-in and security purposes. Because there aren’t many fancy features, Acer Aspire S 13 Touch would offer you a satisfactory battery life and better performance. For a touchscreen laptop like this, you are paying a really cheaper amount too. It hasn’t been a long while since Microsoft made its foray into the world of consumer-level laptops. However, the tech giant has been quite successful in launching a kind of rebel to Apple and other premium-level device manufacturers out there. Having a Microsoft laptop is like having an Apple laptop that runs on Windows 10. Yeah, you heard that right, Microsoft tries to bring the perfect blend of performance and smooth Windows experience in its devices. Most of the devices are hybrid, making them useful as standalone tablets as well as fully-fledged systems. However, recently, Microsoft has been trying out more experiments on standard devices too. 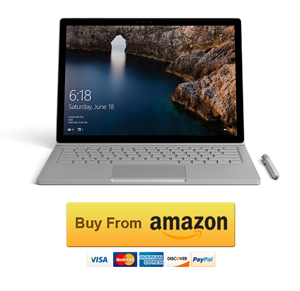 Made with a powerful combination of Intel Core i5 Processor, 8GB RAM and 128GB Storage, we believe that the Microsoft Surface Book is an awesome device for professionals. It’s an effective way to bring the purest Windows experience into a sleek-design device. You get some brilliant features like Windows Ink, which lets you take notes in a revolutionary way. Microsoft has also added some sound and visual features too. You’ve got an option to go for the higher-resource variants if you want. Cutting the story short, Microsoft Surface Book is one of the best laptops if you are looking for high-end performance and sleek designs. Just like Microsoft, Samsung hasn’t been an active player in the world of laptops. Of course, all along, there were a few laptops that offered high-end performance and features. Quite recently, however, we have been seeing some more picks too, including ones from Chromebook category. The best part about Samsung is that you can find a huge number of devices even within a short span of the budget. There are a few things you get as assurances when you purchase a Samsung laptop and build quality is one of them. If you look at some of the best Samsung laptops, most of them grabbed the limelight due to its quality build rather than features. With some kind of generalization, we can say that Samsung laptops are best for build too. Samsung Notebook 7 is basically a touch-screen laptop that packs in the standard specs, such as 8GB RAM, i5 Processor, and 1TB HDD. The only downside is that the laptop is using HDD instead of SSD. Apart from the side, you get the advantages of a sleek design, sturdy build, and portability. 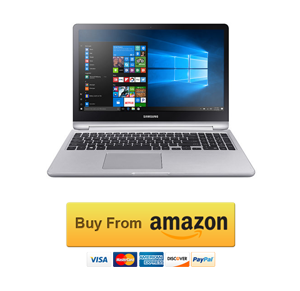 Even with these specs, Samsung Notebook 7 showcases a satisfactory battery life. If you are looking for a common laptop that you can use for office or home purposes, this device should fulfill your need. You may not have heard of Razer if you’re not really into the world of gaming. On the other hand, if you are looking for a laptop that you can use for hard-core gaming, Razer is the best laptop brand for sure. It created its identity around devices that are dedicated to intensive yet portable gaming. 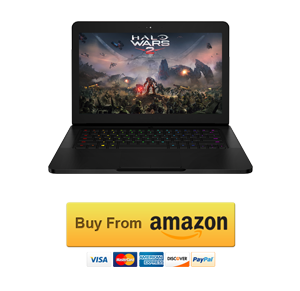 As it goes without saying, you have to pay a huge amount for getting a laptop from Razer, but the performance is just worth what you pay. In addition, Razer does a lot of experiments in the world of gaming tech, not to mention that of wearable gaming and controls. Razer is more of a trendsetting laptop brand because it was after Razer devices that we started understanding the possibility of portable gaming machines. Blade from Razer is the perfect example for an ultimate gaming laptop. It packs in one of the best-ever-seen hardware along with software-side enhancements. It’s the best laptop brands for gaming. The result is, you have an immersive gaming experience and top-notch controls. Inside the Razer Blade, you will spot an i7 processor, 16GB of RAM and 512GB SSD storage. You have options to upgrade the storage and screen size if you want. But, even with the basic set of hardware configurations, the Razer Blade is offering one of the best gaming performances we have ever seen. If your sole purpose of having a laptop is gaming, this is the best PC brand and this is the best PC too. 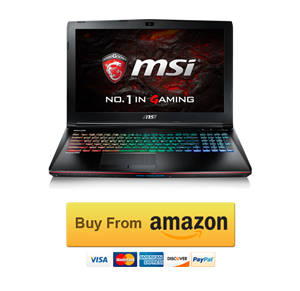 MSI is another best laptop brand that focuses on gaming devices. If you are looking forward to purchasing a laptop that has enough hardware specification and gaming-friendly optimization, MSI makes enough sense. Almost all the devices you get from the brand are packed with high-end hardware, be it processor, RAM or anything else. For those who don’t know, MSI has been an active player in the industry for a long period of time. However, as a matter of fact, their devices became so popular in the previous decade, especially after the need for gaming-oriented laptops. Anyway, if you are looking for the best laptop for gaming, you can get one from this brand. MSI VR Ready GE62VR Apache Pro is the best laptop you can currently purchase from this brand. It’s a heavy-duty gaming laptop that comes with VR support as well. Inside, there is a combination of 16GB RAM, an i7 Processor, and 256GB + 1TB Storage. All these are just super-fast when it comes to playing some graphics-intensive games out there. There are many gaming-oriented features such as the True Colour Display and its Cooler Booster 4 tech. Considering all these points, MSI VR Ready GE62VR Apache Pro is surely the best pick for extended gaming. 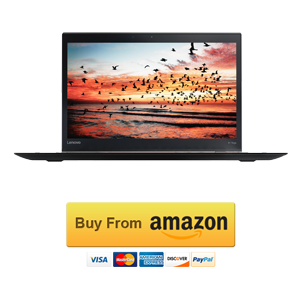 How Do We Rate and Select Laptop Brands? Customer Reviews: Genuine customer reviews are the best way to know about a particular product or a brand. We had to go through digital reviews as well as in-person ones. Regarding the in-person ones, we had consulted a few people who have been using devices from these brands. The surveys gave us a general idea about the position of each brand on a scale of 10. Then, it was an easy task to arrange the brands in the order of customer satisfaction. Design and Portability of the laptops were also given the prominent priority while choosing brands. Of course, there were some brands that focused on performance and not on style. In that case, we have made some exceptions. Otherwise, the point of selection was solely based on the innovative design, portability, and style of the gadgets. Tech Support plays an important role in deciding whether a laptop brand is worthy or not. Even after you have purchased the best laptop brand, you must be receiving at least the best support, right? Just like we did in the case of reviews, we consulted customers who had used the after-sale service and tech support from all these brands. This too made the list precise and authentic from the customer’s point of view. Last but not least, we have given an important value sector for Warranty as well. If a brand is offering an impressive warranty on the products, it shows the brand’s confidence in the products. This was a conviction that helped us to choose the best, reliable and trustworthy brands from the list of hundreds. We have tried to be 100% neutral and unbiased while preparing the list. The selection was mainly based on what our own experience and others’ experiences had to share. We hope it helps you choose the best laptop for your need. Above, you have seen the list of the best laptop brands and our recommendations, right? 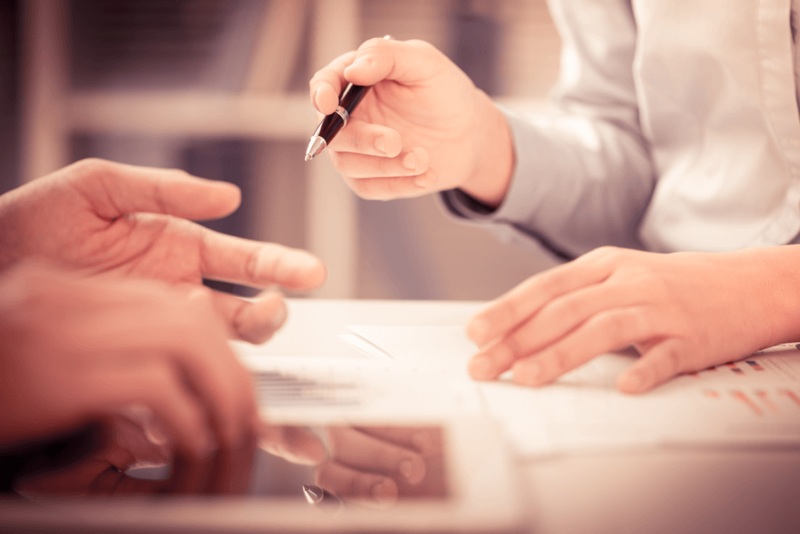 Now that you have narrowed down your selection, there are some effective tips too. These tips will help you to find and buy one of the best laptops for your needs, regardless who you are. Shall we have a look at them? Just like any other product, laptops are also made purpose-oriented. For instance, the high-end versions of Apple MacBook Pro are targeted towards serious professionals who need top-notch graphics and seamless rendering speeds. 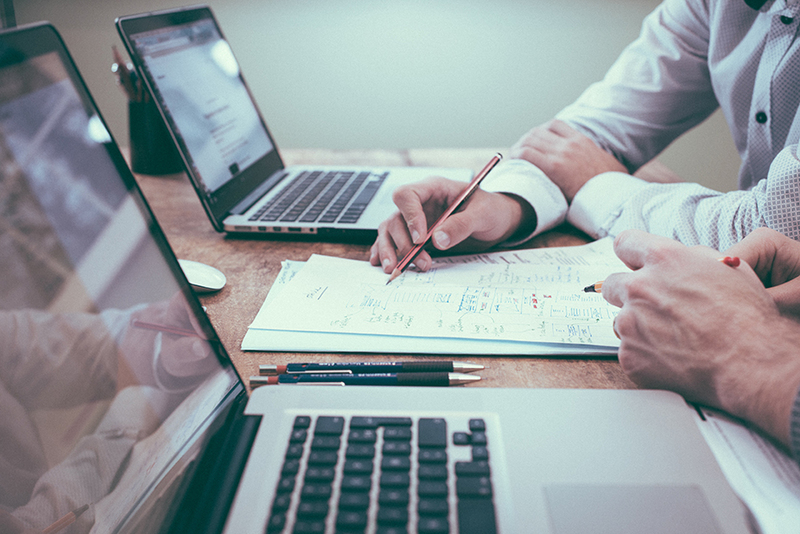 It may not be the same requirement for a normal professional who has to deal with Word or Excel documents. Judging this scenario, if you are a professional, there is no point in having that MacBook with you — and vice versa. So, before you jump into a product and purchase it, try to analyze your purpose with the laptop. In most cases, you are likely to change from the first pick. Above, when we mentioned the best brands, we also mentioned the areas that these brands do excel. For instance, Apple devices are made for those who need a perfect combination of portability and performance. You can use those insights to find a suitable laptop brand first and then go for the best laptop from the brand. People have a tendency to keep the price low by reducing the amount of RAM and all. This is one of the bad trends because the more amount of RAM is a good thing if you are into multitasking. Personally speaking, I’m someone who deals with Microsoft Word and Chrome at the same time. I had to upgrade my system to 8-GB RAM because the 4GB scenario wasn’t really working well. Keep this factor in your mind when it comes to purchasing a laptop. You may have to spend a few more dollars but always go for an 8GB version or better. In the time to come, you will find the extra RAM to be quite useful. Same is the case with SSD. If you have the capacity to afford it, always prefer SSD to HDD. This is going to save a lot more battery, offer speed and enhance the performance of your entire system. Does everyone want to be productive when it comes to using computers, right? Choosing the right OS is one of the integral steps to be so. You don’t have many choices if we take the case of popular Operating Systems. Even so, you can choose between Windows, Mac OS, Linux and Chrome OS. Here, the selection should be a bit careful. For instance, Linux isn’t a compatible OS if you are working in an organization or something. On the other hand, if you are into development or high-end tasks, you will be fine with Linux and Mac OS X. It should also be noted that a new choice named Chrome OS is there. If you think you spend most of your time in Chrome browser, you can consider going for a Chromebook, which is more battery efficient, performance-friendly and affordable. No matter what you choose, make sure that the OS has some stuff for your needs. Most people think that they don’t need graphics unless they are into gaming. It’s partially true because a few apps work fine only if there’s sufficient amount of graphics. Also, if you want the benefits of HD Playing, VR, AR etc., your laptop should have the right amount of graphics specifications too. We don’t recommend going for dedicated graphics unless you have any of these requirements. In all other instances, the integrated Graphics by Intel is just enough to move on. On the other hand, if you are planning to play some popular and high-end Windows games, you should better go for dedicated standalone graphics. Nevertheless, make sure you understand the fact that graphics cards make sense only if you have compatible hardware for support. Currently, there are two major kinds of laptops you can purchase — standalone laptops and hybrid ones. As you can guess from the name, the first category are the ones we see. They don’t normally come with a touchscreen. Even if they have a touchscreen, the device won’t be really detachable from the keyboard. On the other hand, as we come to the case of 2-in-1s, they are made for different purposes. To make this simpler, we will put things into a practical form. Suppose you need a media consumption device that you can use as a home PC as well. In that case, a 2-in-1 device would be sufficient. On the other hand, if you value portability or performance, we recommend sticking onto standalone laptops from the list. This is the last tip, but perhaps the most important one. We have seen many customers who start giving a lot of complaints about battery life. The best thing to avoid all these is to ask some people about how much battery life they are getting from the devices. Of course, you can keep checking reviews and other expert opinions. You can always go for assured brands like Apple, where you will get around 10 hours in any case. In spite of all these, it’s your choice between budget, battery life and performance, you know. So, this is almost everything you should know about the best laptop brands 2019 and PC brands in 2019. We have tried our best to make this guide as useful as possible, drawing information from various parts of the web, our customer database, and their valuable opinion. We hope that the guide will also help you choose the best PC from the best laptop brand in the world. We have also added our recommended product for each brand. So, if you are someone who goes for the best laptop brand product in the store, you can go for that recommended product. After all, you should get your value for what you’re paying, right? By the way, which laptop are you using right now? Do let us know your opinion about the current brand through your comments. We can also take them into account for our next guide on best laptops. Which is the best laptop brand out there? Choosing the right laptop model from thousands of laptop brands available out there is such a difficult task. Every laptop brand has their pros and cons. We have done an extensive research on various laptop brands and chosen the best laptop brands available in the market. Go through this curated list of laptop brands by the Techlogitic team and buy your laptop today. Also Check Detailed review from here:- Best Laptop Brands 2019. Co-founder at Cryptohive. Building the Blockchain Ecosystem in Singapore since 2014. Views and opinions about crypto are my own.